Philosophic Concept or Living Spirit? 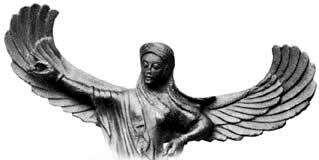 The name of an Angelic Being – a Goddess or Janya – is sometimes used to represent a fundamental concept. How do we distinguish Concept from Angel? Q. I loved this commentary. One thing confused me a little though: where it says "the Daughter is called pure Love (sushuri) just as the Mother is pure Light (mati)." I tend to associate the Angelic Being Sai Sushuri with the Mother since many Sushuric symbols are also symbols of the Mother - the Rose and the Dove are both Sushuric and Mother symbols; and "Star of the Sea" is both Sushuri/Aphrodite and the Mother-Creator, surely. I also understand that the Janyati are Angelic Beings: not actually Mother or Daughter, so I guess I am a little confused about the whole thing! Explanation would be much appreciated. A. When the name of a Janya is used with a small initial letter, the reference is not to the Angelic Being herself, but to her influence: so sushuri is a name for the Divine Love, and also for human love (especially human love of Dea), as opposed to Sai Sushuri, which is the name of the Angelic Being whom the Greeks knew as the Goddess Aphrodite Ourania. Philosophically-minded Hellenists, and their successors, would use the name of the Janya interchangeably for the concept and the Heavenly Being. In English we use the capitalized and non-capitalized forms to differentiate between the two. This is necessary especially in view of the fact that the increasingly individualized mentality of the later Kali Yuga has made interchangeability confusing to most people. The confusion would likely tend to take the form of assuming that the concept is the real reference and the Being merely a "metaphor". In fact, in traditional thought, all things are the crystallization of Divine Ideas or Essences, and the fundamental concepts that underlie existence, such as Love (sushuri), Light or Intelligence (mati), and order (thamë), are indeed Realities, and Realities of a more fundamental order than physical objects or energetic forces. To a small extent, quantum physics is beginning to come to an understanding of this truth, though approaching it from a purely empirical perspective, such understanding can never be more than partial. What is most confusing to the modern Western mind, with its extreme individualist Weltanchauung, is the notion that these underlying Essences of Being can be in some sense Personal. The idea conflicts radically both with the reification of nature inherent in the Rationalist Revolution of the 17th century, and with the sentimental individualism that can only understand personality in terms of human psychology. The Angelic Being is a Transcendent Personality, immeasurably closer than ourselves to the Supreme Personality of Godhead Herself. The underlying Essences or Realities that shape Being are not like inanimate objects or blind uncomprehending forces. They are Intelligences far greater than ourselves, but also far less individuated from the Divine Source. So when we speak of the Qualities of the Divine Mother or Her Holy Daughter, it is only natural that we should use the names of those Essences that are closest to the Divine. Naturally, Mother and Daughter, being Godhead Herself, are above those Essences, and each contains all of them to the fullest degree. So the Mother is also Pure Love (sushuri) and the Daughter also Pure Light (mati). We might express this in terms of the Mother's Love being so great that She gave us Her Daughter; and the Daughter's perfect reflection of the Mother's Light, so great and obedient that that Light is Her very Nature. When we attribute a certain Perfection to Mother or to Daughter, it is not to deny Her other Perfections, but to explain for the human mind a certain aspect of Divinity. The extent to which the Angelic Being is herself Divinity is a thing difficult for the modern Western mind to grasp. It must be remembered that, in the end, there is nothing that is not Dea, and that the Holy Janyati are much closer than we to that Supreme Identity. This indeed is the root of the ambiguity in such words as "Goddess", which means at once the Supreme Being and an Angelic Being. Déanists make reverence (bow) to each other and use the greeting Rayati: "Hail to the Sun (in you)". We recognize Dea immanent in other maids. How much more, then, may we recognize Her in Her Angelic Beings who are, in a way we humans can scarcely understand, at once Her servants and Her Faces.